In the hours following the death of Roy Halladay, every profile or anecdote spoke of his work ethic and dedication to improvement, the sense of duty that drove him. As more personal stories came from those who knew him best, one thing became clear: the same effort he invested in becoming the best pitcher imaginable went into becoming the best person he could be. 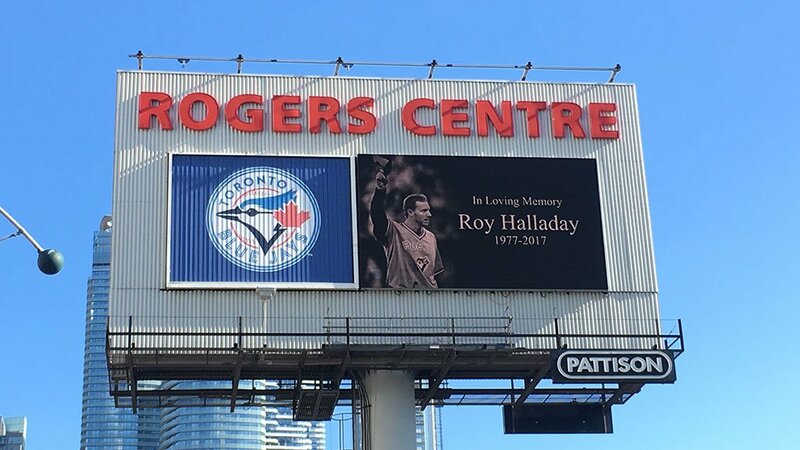 His dedication to excellence that made him a talisman among Blue Jays fans. It was upon his greatness, and goodness, we could project whatever our individual situations required. Inspiration, entertainment, awe, worship - his unflappable nature and peerless performance offered every possible handhold. It united an otherwise lost generation of Blue Jays fans, those young enough to be unabashed in their admiration and those wily enough to appreciate how rare a treat it was to watch him work. Watching him work was the key appeal, good guy credentials notwithstanding. Modern baseball doesn’t lack for hard workers, but those who translate that work into unforgettable moments of pure performance, those are the ones that stick with us. Nobody who watched him pitch will ever forget Roy Halladay. 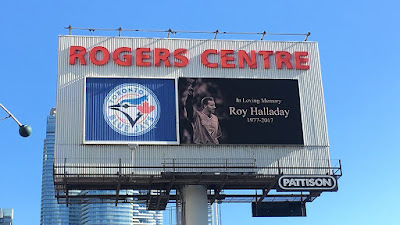 I hope the team greets those who missed his time in Toronto with ample opportunity to encounter his legacy around the ballpark, so they might ask “who’s that?” The answers won’t be short but they’re worth retelling, over and again. His impact stretched beyond the fans, as peers and colleagues step forward to praise Halladay as the pro’s pro, the player they all wanted to emulate. And he impact them he did, mentoring those encountering resistance for the first time or coaxing the greatness that lay dormant within those unwilling to reach inside to grasp it. He showed countless players the blueprint to his own success, likely without saying much of anything. The past 24 hours showed the world what his guidance and fortitude meant to them all. Dogged pursuit of excellence should always be admired, especially when it would be easy to quit or skip a day. Hopefully his young sons, beginning lonely journeys of grief with no end, heeded the lessons of their father. I’ve written before about the last time I saw Halladay. It was with his family on Opening Day in 2014. Just retired, he threw out the first pitch against the Yankees in Masahiro Tanaka’s first big league start. Long after the game was over, Halladay and his kids wandered onto the field where he demanded they run sprints in the outfield while he went through the motions on the mound. It was a quite, touching moment. It hardly overshadows the baseball memories he provided, but it stands out that much more now. A regular guy, not much older than me, toting backpacks and chasing overstimulated kids. A regular guy who just happened to be exceptional in just about every way. Thanks, Roy. For all you did.